Types of coffee can be classified according to various criteria: post growth, a method of treating, the degree of roasting and the fineness of grind, according to the method of manufacturing and the method of preparation of the finished beverage. Consider classification method of manufacturing. 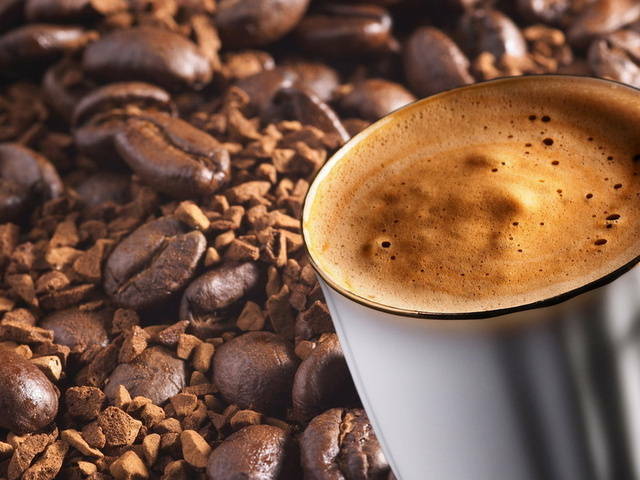 The group includes: green coffee, Coffee natural fried beans and ground, instant coffee and coffee drinks. it, in fact, Unprocessed raw corn. Today, it is quite often they are offered as a means for weight loss. However, the drink, made from them no taste, no coffee aroma has. The untreated coffee those buying, who loves his own to fry at home for flavored drink. Divided into coffee beans and ground. In the market today, thousands of varieties. The composition is usually written on the packaging, but the exact proportions of grains and the origin of certain varieties manufacturers kept strictly secret. Elite and higher grades are made only from high quality arabica, the rest is added robusta. On sale you can find a natural flavored coffee, beans and ground. Flavors are natural and chemical. The most popular flavors of liqueurs, chocolate, there are still groups of fruit aromas and spices. Organic coffee beans can vary by species, by the degree of roasting. Grains of higher grades of regular shape, velvety, not so small, uniform color roasting. Fine coffees are roasted not much, keeping the flavor and taste. The darker grains, the higher the temperature of the roasting, the less caffeine in it. Grain before using grind in a coffee grinder. You can visually identify, what kind of grain to the packaging of coffee, that was acquired. Arabica extended, color uniform grains, while the Robusta grain almost round, uneven coloring. First released in ground coffee 1878 in the USA, then it was packaged in tin cans. Within 30 years were released first vacuum packing of ground coffee. Also available decaffeinated, have flavored varieties, dobavkami with chicory. Ground coffee is characterized by the degree of grinding: rude (large), average, thin, thin espresso, sverhtonkyy. Each of grindings to a specific method of brewing. Of course, coffee grind and very, But the industry is characterized by grinding, was homogeneous, as ground coffee has sieved through a special sieve. If you buy ground coffee, so as not to waste time on his grind, choose a vacuum packaging, they retain as much as possible its flavor. The novelty in the vast world of coffee – fast method of brewing ground coffee from a bag (drip-coffee). It is a natural ground coffee medium ground for a single brew one cup. It is very convenient, when you need to quickly make a drink, and instant coffee do not like. World leader in the use of instant coffee is Russia. 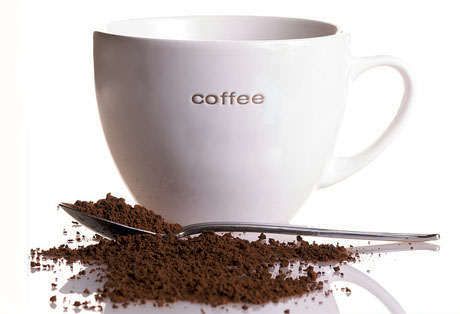 Instant coffee is produced in several variations: powder, granulated and freeze-dried. For its production is used mainly grade Robusta. Soluble coffee powder was invented in the early 20 century, in the 40s came up with his granulated, and sublimated appeared in the 70s. Powder and granulated coffee produced by hot process. For this roasted grain milled, then the insolubles were washed with hot water, cooled residue, filtered and dried. The resulting powder to obtain granules in churning lumps with steam. instant coffee obtained cold- («freeze dried»). Ready drink frozen at -40aboutWITH, obtained coffee concentrate. Then it occurs in a vacuum dehydration at low pressure, insolubles thus sputtered from the crystal lattice. The resultant mass was crushed, its particles, ultimately, we see a bank with coffee. This method is more fully retains the original composition of the product. However, the aroma and taste, compared with natural coffee to some extent lost, but for the convenience of this type of coffee is unsurpassed. Coffee drinks are based on natural coffee soluble and insoluble. They are produced with the addition of other products, eg, cereals (barley, rye, oat), chicory, acorns, nuts, legumes, spice, dry milk products. Further enriched with vitamins, minerals. The caffeine content in small quantities. They are good for your health, especially when natural coffee is contraindicated.